A gift to Purdue’s EEE program reflects the donor’s green philosophy. About 30 years ago, Karen Ennen led a grassroots effort to keep a landfill out of her neighborhood in Watseka, Illinois. The proposed landfill would have been the third one in a county of 32,000 people. She says her first experience as an activist brought her together with scientists and environmental lawyers who became some of her best sources of information. Now, through an estate gift to Purdue’s Division of Environmental and Ecological Engineering (EEE), Ennen is helping further a proactive approach to stop environmental damage — by supporting engineers who tackle environmental problems at their industrial source. The John Jr. and Karen Ennen Memorial Fund, named with her late husband, will, in part, help recruit and retain EEE faculty as part of the College of Engineering’s Strategic Growth Initiative. An unrestricted gift, its funds also may be used for creating student scholarships. Ennen’s gift demonstrates her dedication to sustainability. Her commitment to green engineering, she says, “is simply rent you pay for living on this earth.” As for her battle over the landfill, Ennen says with reflection, “I was too naive to know that I couldn’t stop it.” Fortunately, after a two-year court battle, her group’s case was victorious in an appellate court. 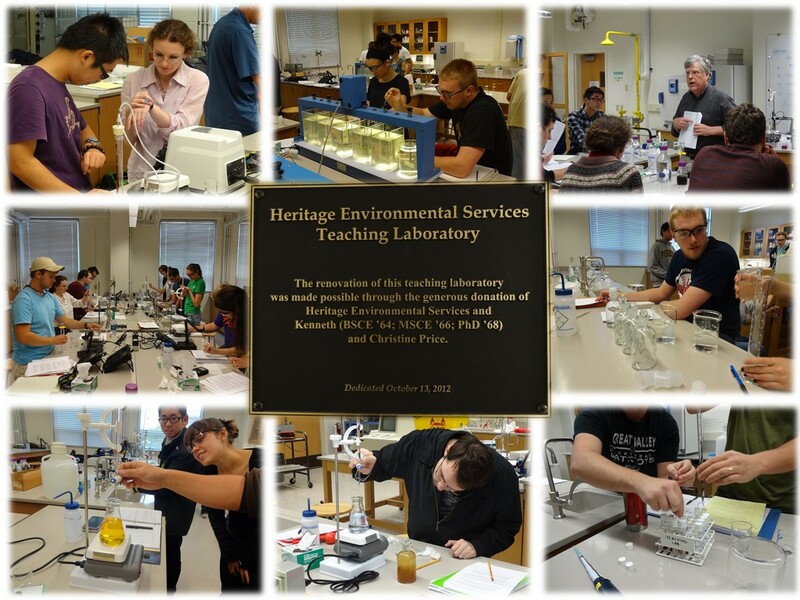 Because of the generosity of the Heritage Group, EEE Students now enjoy a state of the art Environmental Teaching Laboratory. The story of Ken Price and the Heritage Group's inspiration and generosity is moving. While serving as the chairman of the Civil Engineering Advisory Council, Price admits to having been “personally shocked” to learn that the instructional lab for undergraduate environmental engineering students had lapsed into such disrepair that the University had decided to close the facility. “That laboratory was built in 1964 when I was just starting my master’s degree. When I entered the doctoral program in 1966, I taught classes to undergraduates in that laboratory. It wasn’t just another sad story, but a place embedded with important learning and unforgettable memories of my own Purdue experience. I just couldn’t stand by idly and watch it disappear,” Price says. Price went to the managing trustee of the Heritage Group, Fred Fehsenfeld Jr., and suggested that Heritage fund the lab’s renovation. Price’s idea was received enthusiastically, provided Price would agree to make a contribution of his own. Having previously established a scholarship fund to recognize Etzel, they agreed to name the lab for Heritage itself, solidifying the symbiotic past, present and future ties between Purdue and Heritage Environmental. After receiving a joint commitment of $250,000 over the next five years — a gift to be matched by a repair and rehabilitation grant from Purdue — the Heritage Environmental Engineering Teaching Laboratory is used weekly for the environment-oriented classes of civil engineering and the newly established undergraduate degree program of environmental and ecological engineering. The school recognizes Heritage’s generosity and inspires students with the types of crucial solutions Heritage is working toward in an interactive technological display case in which Heritage will showcase current projects. Fehsenfeld enrolled in Purdue at age 17, knowing that he would end up leaving for World War II. He started his studies and joined the swim team, too - getting the most out of whatever college experience he could, including his first flying experience with the Purdue Glider Club. Fehsenfeld returned to Purdue after his time in the war to continue working toward his mechanical engineering degree. In 1948, he graduated with a bachelor’s degree in mechanical engineering and went to work. 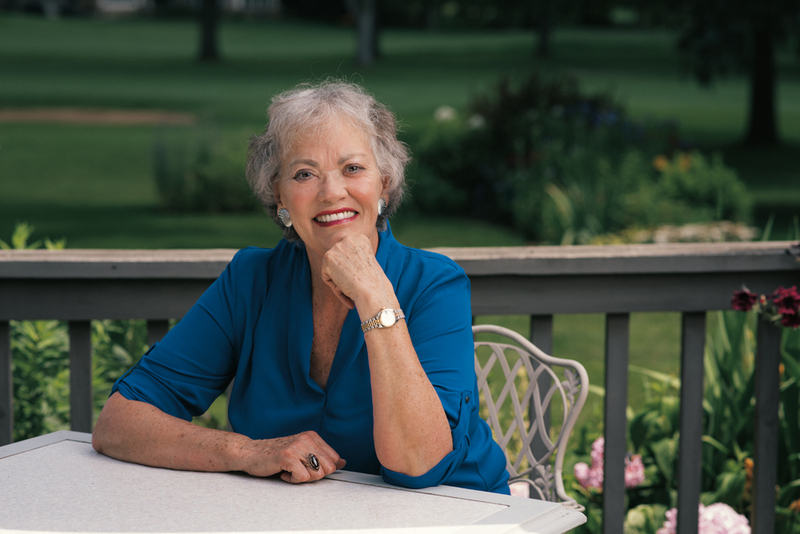 "I came from a family that ran a small petroleum marketing company," Fehsenfeld said. "I was interested in the petroleum business and managed to get a job at a local oil refinery in Indianapolis." While Fehsenfeld was a process engineer for Rock Island Refining Corp., its president, Lew Winkler, took him under his wing. Winkler was a very famous petroleum engineer and the past president of the Winkler-Koch Engineering Co., which built refineries all over the world, Fehsenfeld recalled. “He taught me how to take a complicated engineering problem and simplify it so it was much easier to solve." 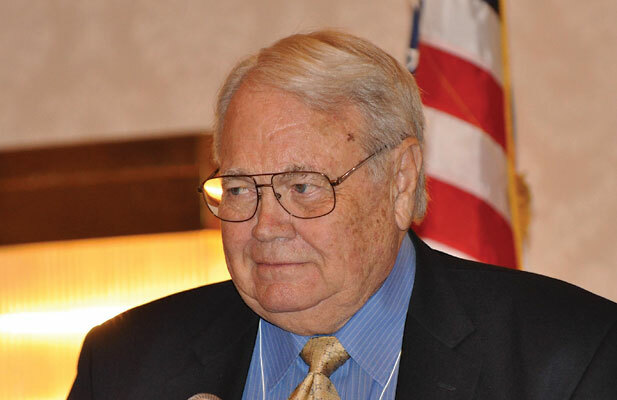 Fehsenfeld spent three years redesigning the old refinery and helped supervise the construction of a new fluid catalytic cracking unit, but then a better offer arose. "My father called and said the vice president of the heavy fuel department had resigned and asked me to take his place. He seduced me by paying me more money than I was making as a process engineer at the refining company." Fehsenfeld quickly found success in his new position and then branched out, expanding the company through a venture called The Heritage Group (THG), which now operates the country’s largest privately held environmental company. The companies of THG are also involved in highway construction, aggregate production, chemical production, oil refining, and petroleum marketing, as well as crude oil and natural gas production. The Heritage Research Group is part of that package and most closely related to the vision that Fehsenfeld has for Purdue. His gift to Purdue establishes the Fehsenfeld Family Head of Environmental and Ecological Engineering. The Fehsenfeld family had previously established the Purdue Energy Fund to provide some seed capital for anyone working to solve our energy problem; as Fehsenfeld put it. Eventually it became clear that a bigger idea was in order. "I was approached by Dr. John W. Sutherland of Purdue and Dr. Ken Price and Dr. Ralph Roper of Heritage Environmental Services LLC," Fehsenfeld said. "They thought it would be good for there to be a focused plan of study for environmental and ecological engineering.” Fehsenfeld was so taken with that idea that he offered to add to his original gift and devote those funds to the Division of Environmental and Ecological Engineering.